Readdle launches Spark email app for Android. 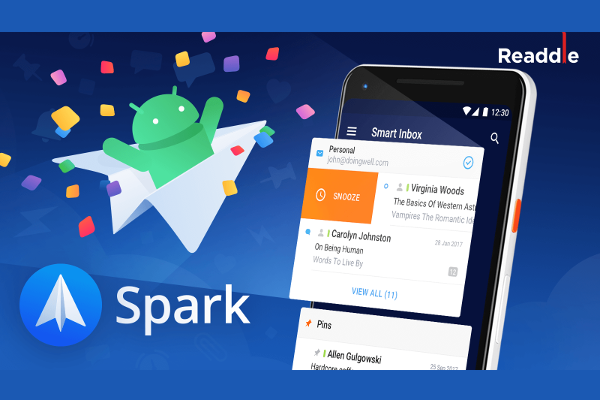 Readdle today announce the launch of Spark email app for Android. Readdle is the company behind many popular productivity apps, such as Calendars 5, PDF Expert and Scanner Pro. Starting today, you can download Spark Mail app for Free, straight from Google Play. It's already available for iPhone, iPad and Mac.